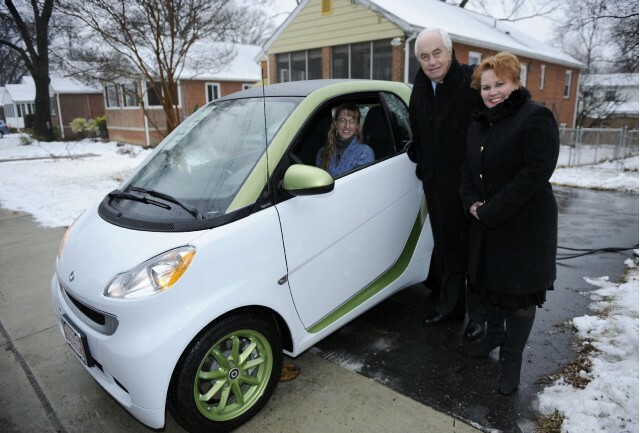 There are less than five years, the Americans dealers of Mercedes-Benz had literally refuses to distribute American soil compact cars smart fortwo. This is to do no harm to the image of their entity. Thus, the small car had to rely on Penske Automotive Group to be delivered from our friendly neighbors. At first, the marriage between Roger Penske and the giant Daimler AG for the distribution of the small smart was going well, so much so that the company found itself in trouble, can not provide enough models to answer the request. But beware, here we talk about sales at just over 25,000 units across the United States, at least in 2008, a year of record sales for the small city. Since then, sales of the smart fortwo have been falling among us as our neighbors. In 2010 only 6,000 units were sold in the United States. Today, the group Mr. Penske announced his retirement and, finally, it is the dealers of Mercedes-Benz brand in the United States that will offer little smart and servicing on cars sold until was present. Recall that in Canada, the little smart fortwo is available from the very beginnings of the network of Mercedes-Benz dealerships across the country.